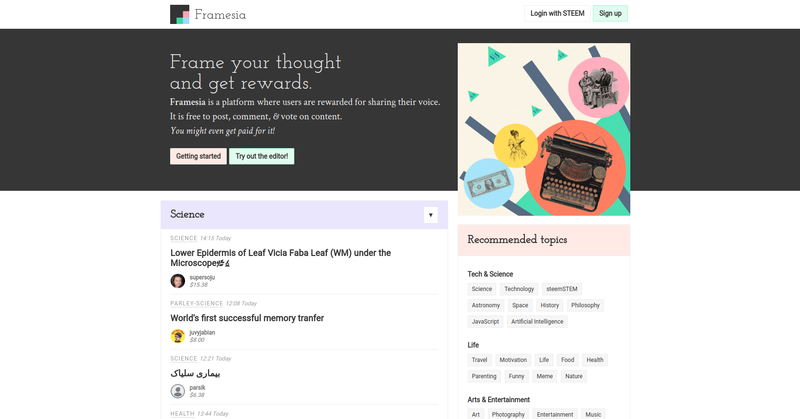 Framesia is a platform where users are rewarded for sharing their voice. It is free to post, comment, & vote on content. You might even get paid for it! Inline marks: bold, italic, code, links, sup, sub etc. 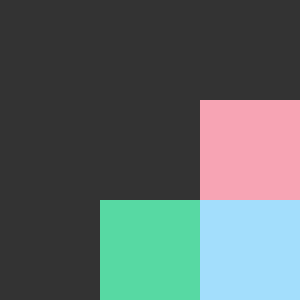 Block element: heading 1-6, blockquote, code-block, image etc. Table editor: add a column, add a row, delete a column, delete a row. Code editor: it's so smart, even it detect your programming language as you type. The qual­ity of your article is de­ter­mined largely by how the text looks. Why? Be­cause there’s more body text than any­thing else. So start every project by mak­ing the text looks good, then worry about the rest. 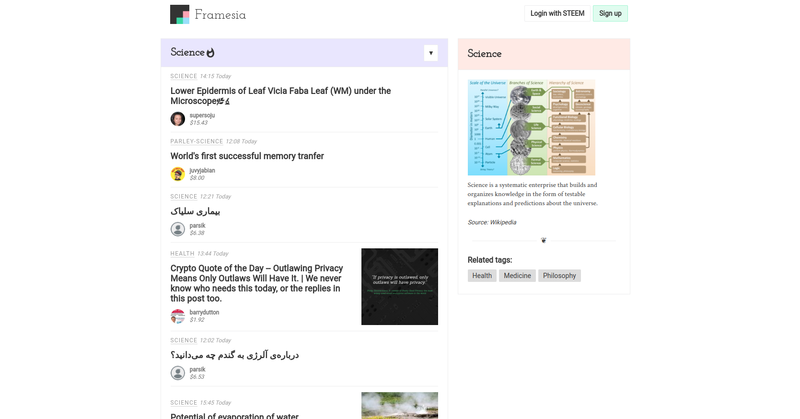 Framesia implements best-practices of typography to ensure the Article is well read. You can follow any specific tags that you like. It will appear at your home feed. hot > trending: and we choose to make hot as default tag sort. this means that when you follow some tags in your feed it sorted by hot by default. Why? because actually, what do you need is article feed that changes every sometimes and fresh. In this case, Hot is always changing by some hours. 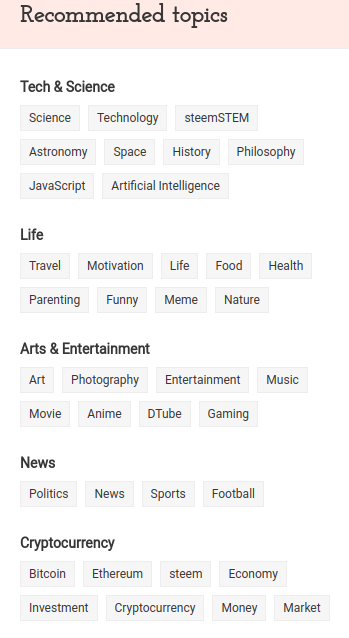 Then we have curated some recommended tags that have amazing content. If you found another tag that has great content, please tell us. Not just that, all tag has its own definitions and it related tags (if present). TLDR; Save the article for reading later. We built it with React.js bootstrapped with create-react-app. For state management, we use react-easy-state. 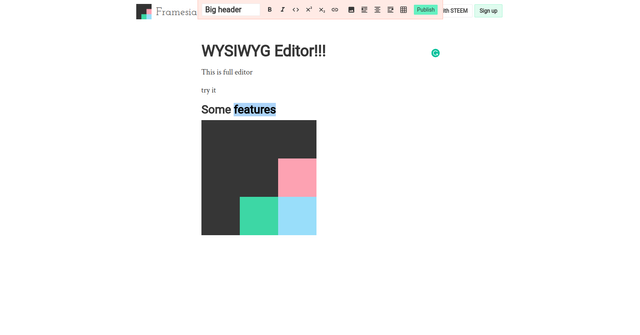 then For the editor, we use Slate.js: http://slatejs.org/. So, it's just a react app. WYSIWYG: add image copy-paste-drop, and search and select an image from unsplash, that will make user easy to get beautiful images. Damn. That's a really pretty Steem frontend! I suggest you add another "frame" under the topics / tags as you have spare room there under the scroll. Otherwise - following to see where this goes! Really amazing work! Everything seems to work properly and looks really pretty and polished! Also the way you presented everything in the post is great, and the fact you have a project board on GitHub makes me really happy - keep it up! thanks, btw, posting option is still under development. actually, it's can do more, like texts justified, text-align right, and phising class. but there's no space left in toolbar editor.